* Red Filter AIRAID MXP Series Cold Air Intake is now available for the 2012-2014 Supercharged Chevrolet Camaro ZL1 6.2L. The new intake features a large one-piece roto-molded air box that utilizes the OEM scoop, a massive 4.25" induction tube with a Billet Aluminum MAF Housing, 1400-CFM AIRAID Premium filter, complete high grade hardware and detailed step by step installation instructions. The Supercharged ZL1 AIRAID Intake system will require the use of Aftermarket Tuning. 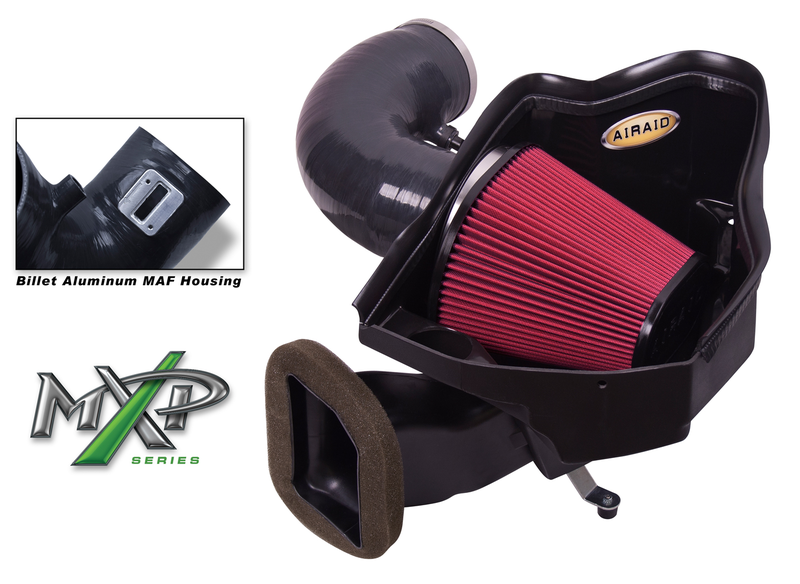 All AIRAID Intake Systems are Made in the USA and backed by their lifetime "No-Hassle" warranty! No one else gives you the bold clean styling of our Aftermarket Dress Ups, Suspension and Performance Parts for your American Muscle Car like UPR Products! Click Here for Instructions Click Here for Install Video Fits these Vehicles: 2012 2013 2014 Chevrolet Camaro V8 6.2L ZL1 Supercharged. Made in the USA!